Through the lens of the Striving Styles, each of the Myers-Briggs (MBTI®) 16 Types comes alive. Discover which quadrant of the brain the INTJ prefers to use, what the predominant, innate psychological need that drives the INTJ's behavior is, as well as how an INTJ can leverage their whole brain in order to develop and achieve their potential. The SSPS shows that each of the four quadrants of the brain has their own role, or function, to play in our personality and our consciousness. Based on Jung's Theory of Psychological Type, we are hard-wired to prefer one function or quadrant over the others and we use each quadrant or function in either an inwardly or an outwardly way. The INTJ's Predominant Striving Style is the Visionary, which is rooted in the right rational brain (Jung's Intuitive function) and focused internally. The right rational brain imagines, conceptualizes, and synthesizes information and experiences into a holistic concept or a vision for the future different from the present. Because it is holistic, it helps us create mental order out of seemingly random thoughts, impressions and experiences; taking indiscriminate pieces of information and intuitively knowing how to create a cohesive whole. Strongly intuitive and perceptive; it knows without knowing why, and leaps to conclusions without having to collect facts. It sees the big picture and gets excited about the possibility of making the future into a reality. Optimistic and hopeful, it can help us to see our way out of difficult situations and to approach new activities with a fresh, open-minded attitude. The right rational brain maintains our self-image (the subjective vision of who we are or want to be) based on the integration of interactions with others over the years, and impressions gathered through cultural influences. Self-image is often affected by how we feel about ourselves, or how others feel about us. The more consistent our self-image is with how we actually are, the less we will be affected by negative or corrective feedback from others. so. Each of us is driven by powerful, instinctual needs and have been since birth. These needs are a source of motivation and influence our behavior. When our predominant need is met, we are poised for growth. When our need is not met, fear and anxiety override rational, leading to self-protective or survival behaviors. INTJs, as Visionary Style people, have a predominant need to be perceptive. They are motivated by the desire to understand and connect with the deeper meaning and significance of what they encounter in their daily lives. They are able to create mental order out of seemingly random thoughts, impressions and experiences. Impersonal and independent thinking, they offer innovative solutions to both personal and practical problems. They see the world from another perspective – not just what it is, but what it could be. Going beyond the descriptors of the MBTI, the SSPS shows people how to access and integrate all four quadrants of their brain in order to use their whole brain as it is intended. There are four Styles that make up a person's Striving Style Squad, each with its own role to play in our personality based on where they reside in the brain. 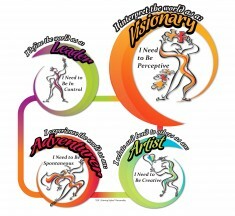 The Striving Style Squad for the INTJ is: Visionary Predominant Style with Leader, Adventurer & Artist Associate Styles. Each Associate Style on the Squad also has a specific need that must be met and different innate talents that allow it to meet that need. Often, we neglect the development of the Associate Styles, resulting in the overuse of our Predominant Style which is a detriment to our confidence and mental health. If we are not using the appropriate quadrant of our brain and its associated Style for its intended purpose, we end up using a different part of our brain in a way that it was not intended to be used. This can limit our flexibility, drain us of valuable internal resources, and ultimately thwart our development and growth in life. Want to know more about the Striving Style Squad of the INTJ? Download our PDF now! 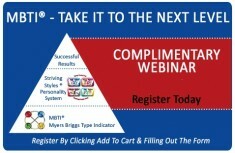 To learn about the other MBTI Types, click here. Visionary Left Striving Style Squad: Visionary Predominant with Leader, Adventurer and Artist Associates. 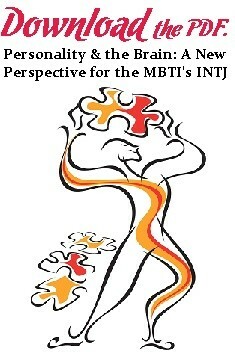 Learn how to develop the whole brain of an INTJ with our Leveraging Your Squad Report.